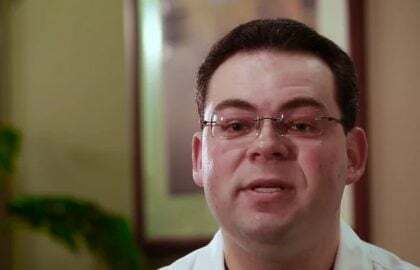 A board-certified dermatologist, Dr. Semyon Zarkhin is highly-trained in the latest treatment protocols for a wide variety of skin diseases and conditions. Also an assistant clinical professor of dermatology at the Medical College of Wisconsin, Dr. Zarkhin specializes in comprehensive acne treatments to minimize scarring, early skin cancer detection, and treatments of rosacea, eczema and atopic dermatitis, psoriasis, vitiligo, warts, molluscum, skin allergies, and rashes. He believes in educating his patients on their condition is an important key to having a successful treatment plan. 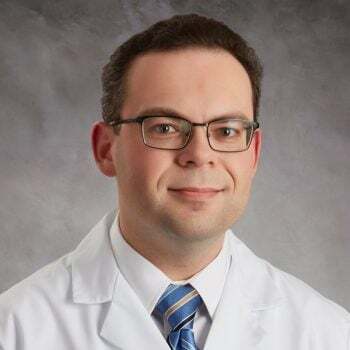 Dr. Zarkhin has been providing dermatologic care to the Green Bay community since 2011. In his spare time, he enjoys exploring new cities, studying chess theory, and is an instrument-rated private pilot. I try to apply the same level of scrutiny to my patients as I would if my own family members were to seek medical care — and make the kinds of treatment recommendations I would want for my own mother or grandmother. Dr. Zarkhin is very professional, knowledgeable, compassionate and kind, and has the best bed side manner of all my physicians. I have been a patient of his for many years now and highly recommend him. He has a very nice personality and knows exactly what to do. The visit was very friendly and did not take a lot of time. All questions and concerns were answered. Very professional. Appointment was prompt and on time. Everything was done with a purpose. Very happy with results. Very nice physician, easy experience. Wish I'd had a tally if any beyond co-pay so I could have taken care of it then and there. really appreciate Dr Zarkhn's demeanor & explanations. Dr. Zarkhin is an excellent physician. He explains the treat ment plan well. He diagnosis quickly & efficiently utilized the time with me. He answered my questions. The doctor made excellent eye contact and was highly engaged in my well being. He seemed to be up to date on the latest treatments. He was easy to talk to and listened. Do TT, Zarkhin S, Orringer JS, Nemeth S, Hamilton T, Sachs D, Voorhees JJ, Kang S. Computer-assisted alignment and tracking of acne lesions indicate that most inflammatory lesions arise from comedones and de novo. Journal of American Academy of Dermatology. 2008 Apr;58(4):603-8. Zarkhin S, Skandamis GC, Fullen DR, Sachs DL. Violaceous purpuric plaques on the lower extremity. Archives of Dermatology 2008 Mar;144(3):405-10.